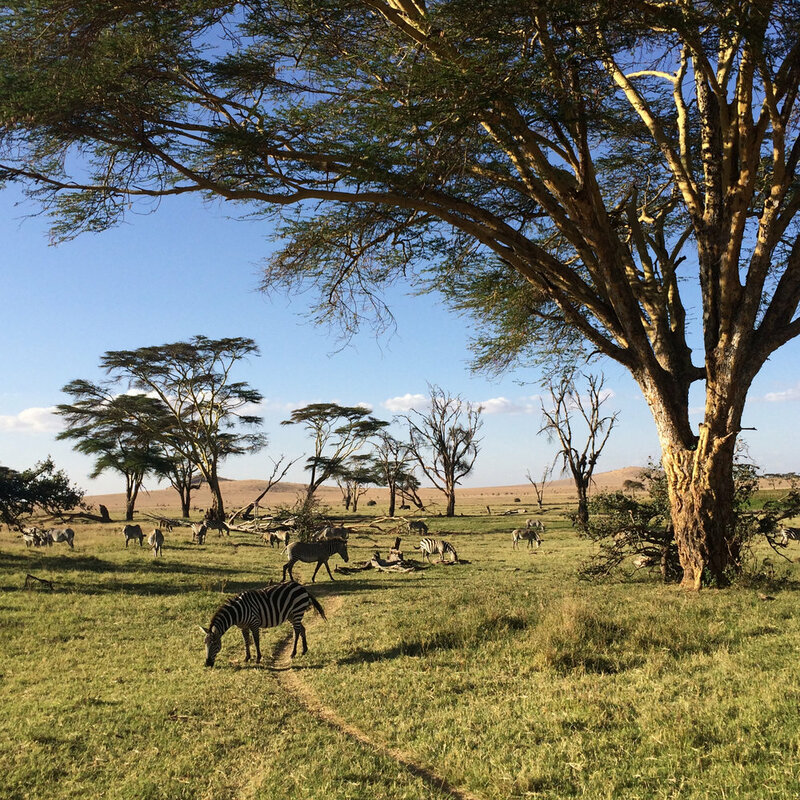 Jambo and greetings from Lewa! 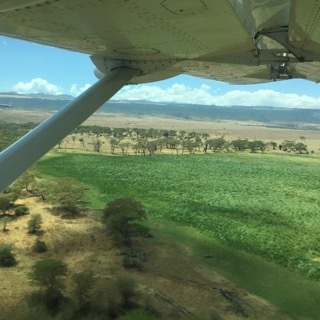 After a full day of meetings yesterday in Nairobi and going into town to buy our Kenyan SIM cards (always an adventure) we flew out of Wilson Airport (had a bird's eye view of Nairobi and the retreat from urban lifestyle) to arrive in the rural plains framed by rolling green hills in beautiful Lewa Downs. Kiera (meaning forest or jungle) is a division of Nairobi Area, 6.6 kilometres from the city centre, is thickly-populated region known as the largest urban slum in Africa. The average size of shack in this area is 12ft x 12ft built with mud walls, a corrugated tin roof with a dirt or concrete floor at a minimal cost to rent. These shacks often house up to 8 or more with many sleeping on the floor. Over 80% of the population, especially living in rural areas, derive their livelihoods mainly from agricultural related activities. Agriculture plays an important role in Kenya's economy, accounting for around half of the country's exports. Tea is the main earner, but vegetables, coffee, fruit, cotton and flowers are up there. Anyone know what type of crops are seen here? And it is so good to be back. At the airstrip, we were greeted by Benjamin our driver and driven to Ngiri House, our home for the next 7 days. 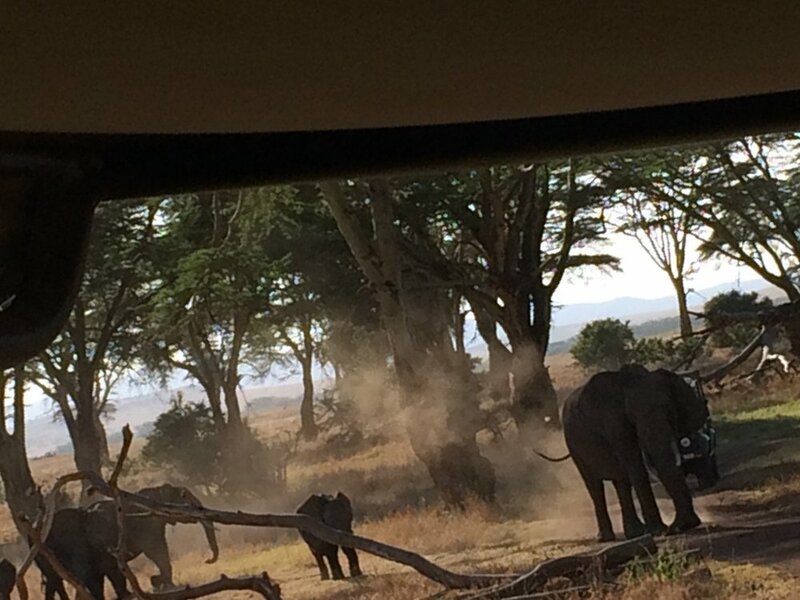 On our leisurely ride in we came upon a herd of elephants, a large adult rhino and plenty of zebra. Not bad for an airport transfer! Rose, the property manager was waiting for us at the house with her friendly staff, all shaking our hands and wishing us “Caribou” or “Welcome” in Swahili. We are super excited to be back here to continue our work with the clinic staff centered around chronic disease, optometry and this time, women’s health. In addition to the training and education, we’ll also be working on (and hopefully) launching our EMR (Electronic Medical Record), software which will enable us to manage the chronic disease patients we’ve identified through our screening process. We spent the afternoon reviewing the itinerary with Phoebe, the clinic manager and John the Community Engagement officer. 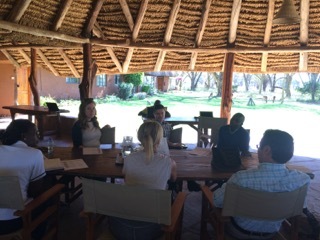 After a few adjustments I think we’ve settled on a solid itinerary, which will enable us to move forward on our initiatives, including interviewing the community on how we can better meet their needs and understanding their perception of the Lewa/Naweza partnership. The rest of the afternoon was spent on a 2 hour game drive where we were incredibly fortunate to see rhinos (black and white), zebras, elephants, giraffes, baboons, ostriches and unbelievably, the elusive leopard. In fact we saw 3! A mother with her 2 babies. And it was only steps from where we’ll be sleeping tonight. What a way to start off the week! Now it is time for bed as we have a big day planned for tomorrow. 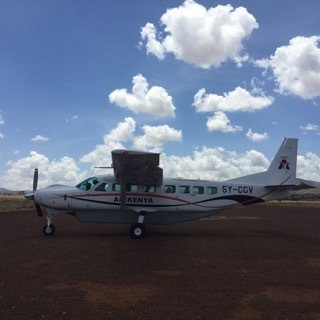 Our first morning will be spent visiting the closest triaging hospital to the clinic located in Isiolo, about a 30-minute drive from the Lewa Clinic. We will be visiting various wards including maternity, female, male, optometry and pediatrics. Our goal is to make introductions with the staff and become acquainted with Lewa’s primary referral hospital. Until then, thanks for reading and lala salama!